$25 Million dollar city budget proposed. Every Atlanta area kid should experience the Dragoncon Parade at least once. For many years I have escorted my sons and their friends downtown on Marta to watch the Dragon*Con Parade. If you are not aware of Dragon*Con it is the largest multi-media, popular culture convention focusing on science fiction and fantasy, gaming, comics, literature, art, music, and film in the US. This year 65,000 people are expected to attend. Here is a link to some video I shot of the parade back in 2009 which will only give you a small taste of what we have experienced. Trust me that this is quite an experience and my kids would enjoy it every year. Take Marta to Peachtree Center, exit at the south side of the station (towards the back of the train) and then once through the fare gates head to the right towards escalators heading towards the Peachtree Center Food Court. Walk into and though the food court walking past Farmers Basket, Chick-fil-A, Au Bon Pain, Bistro 7, Caribou Coffee and then finally straight past Aviva by Kameel. Note there are public bathrooms across from Aviva on your right and then there is a set of steps past Aviva to the left that will take you down to the corner of Peachtree Center and Harris (now called John Portman). Once you have made it down to Peachtree Center street, I recommend turning right and setting up your chairs in the driveway to the building and under the walkway overhead as the driveway will be closed once the parade starts and the walkway provides a little cover if it is drizzling. This location is the end of the parade route and the first walkers should be showing up about 10:30 but I recommend getting there by 9:30 or 10 at the latest to set up your chairs as the crowds on Peachtree Road will be heavy and they may spill over to this hidden location a half block away. This location has easy access to both public bathrooms and decent coffee! After the parade, the food court will be packed and the kids may be hungry therefore instead of Chick-fil-A; I highly recommend the chicken fingers at Farmers Basket directly across the hall and top it off with a little mac & cheese as both are little kids favorites. The line there will be almost non-existent compared to Chick-fil-A and your kids will be eating 3 minutes later. Honestly this is a fun family excursion, especially for the kids but even my wife enjoyed it. I highly recommend this event. Dunwoody's Fall Fitness Program with Rep It Up Fitness features a six week Boot Camp at Brook Run - free introductory session on Saturday. Interested in trying a new work out routine? Dunwoody resident Rachel Kline of Rep It Up! 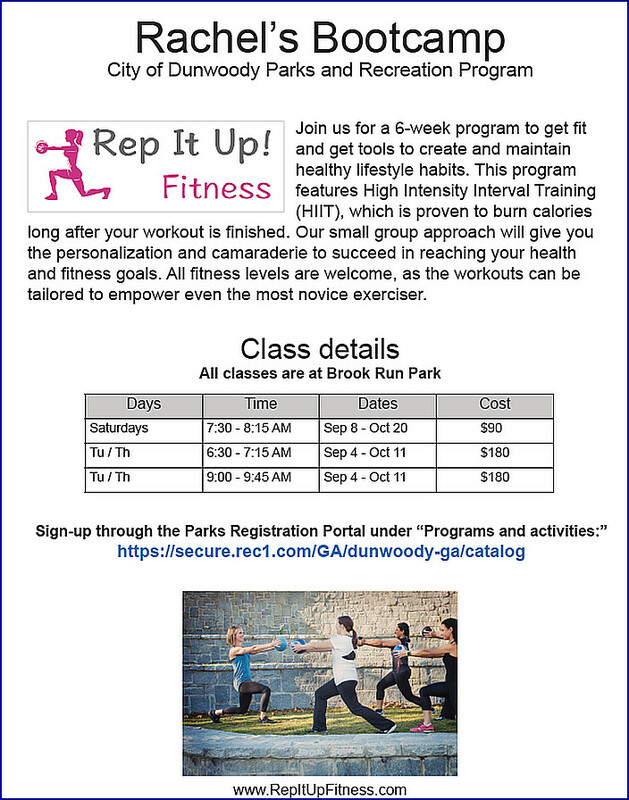 Fitness is partnering with the City of Dunwoody to offer free introductory workouts this Saturday at Brook Run Park. Click on the link below then go to the programs section of the page to reserve your spot for Saturday then sign up to make it a healthy habit with on going classes. West Nile Virus found in Dunwoody area mosquitos. Please take precautions. 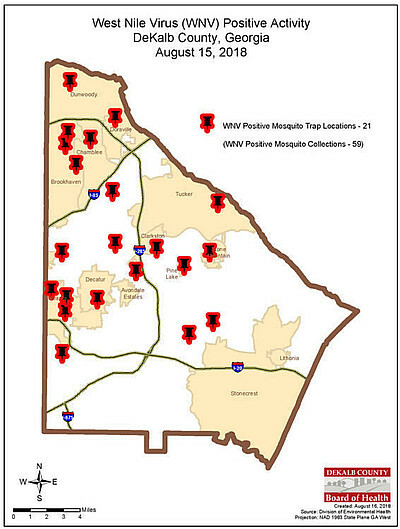 A mosquito collection from a DeKalb County Board of Health's sampling station which is located in your area has been reported as positive for West Nile virus (WNV). While most people infected with West Nile virus have no symptoms or experience mild flu-like symptoms, the virus potentially can cause serious and sometimes fatal illness. The chance that any one person is going to become ill from a single mosquito bite is low. The risk of severe illness and death is highest for people over 50 years old, although people of all ages can become ill. The easiest and best way to avoid West Nile virus is to prevent mosquito bites. While the potential for WNV transmission exists throughout the metro area, this WNV positive collection does indicate a higher risk at this time in your area. Please remember to use the following precautions and remind your neighbors, friends and coworkers to do the same. • Apply insect repellent. DEET (N, N-diethyl-meta-toluamide), picaridin, oil of lemon eucalyptus and IR3535 are effective repellents recommended by the Centers for Disease Control and Prevention. For more information, please see: https://www.cdc.gov/westnile/prevention/index.html. • When possible, wear long sleeves, long pants and socks. Clothing may also be treated with permethrin. • Use extra care when mosquitoes are most active, particularly at dusk and dawn. The DeKalb County Board of Health is aggressively working to prevent West Nile virus transmission. Program technicians are providing additional mosquito control services including applying larvicide and investigating for mosquito breeding sites. The larvicide product, metheprene, will keep mosquito larvae from developing into flying biting insects. Along with the larvicide treatment, it is important to eliminate any containers and other removable breeding sites which may hold water for five or more days. Some items such as bird baths can be dumped and rinsed twice a week, but do need continual attention. Also, gutters should be cleaned and checked to make sure they drain properly. Contact the Division of Environmental Health (404-508-7900) with any questions or concerns on this matter. 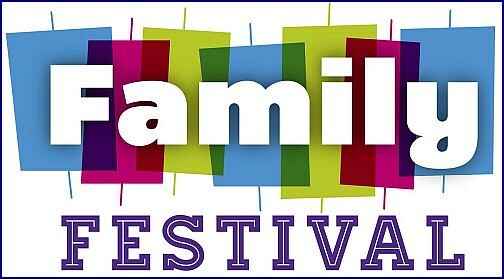 The Marcus Jewish Community Center of Atlanta (MJCCA), 5342 Tilly Mill Road, Dunwoody, is hosting an open community family festival on Sunday to kick off a year long celebration leading off to a large scale Olympic games that will be hosted on the site. Redevelopment opportunities discussed for the Southeast side of the City of Dunwoody. This evening there was a presentation on the financial market forces affecting future re-development of the aging apartment complexes on the Southeast side of Dunwoody along Peachtree Industrial Blvd and abutting 285 at North Peachtree Road. There was also a list of suggested improvements for the meeting attendees to vote upon which ranged from redeveloping the Winters Chapel area, adding mixed use to some apartment complexes, having public trails added through the large apartment complexes and other sidewalk and beautification suggestions. Some of these ideas might sound great but know that the landowners have full control as to when they want to redevelop and where the trails will be allowed, therefore based on the current profitability of the apartments and the rate of return, the expectations are that change to these large parcels will be slow in coming. That being said, these meetings are setting the stage for an action plan when redevelopment is eventually proposed. Dunwoody Village Overlay - Community Survey ends tonight - feedback requested. 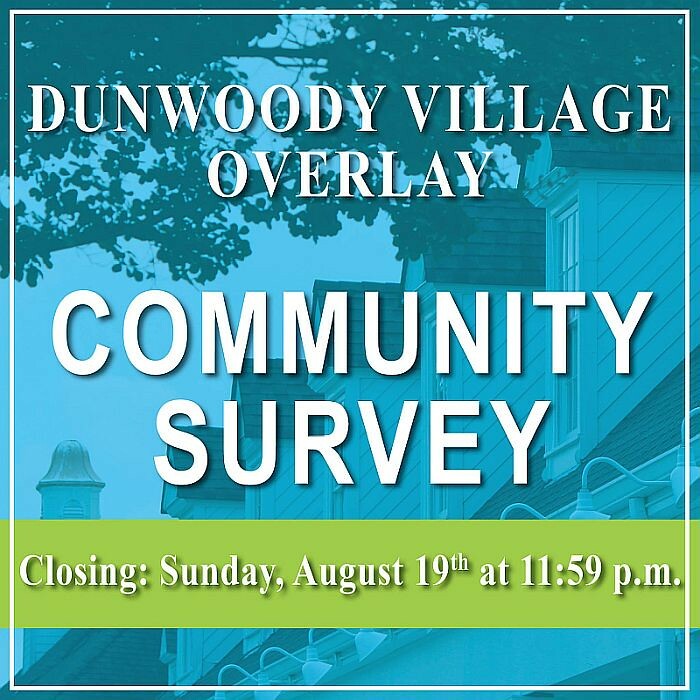 The City of Dunwoody is conducting a Dunwoody Village Overlay survey available online by visiting www.dunwoodyga.gov/DV-OverlaySurvey closing Sunday, August 19th at 11:59 p.m. Results will be presented at a community meeting @ Vintage Pizzeria - Dunwoody, Saturday, August 25th where participants may come and go any time between 11am - 4pm. If you know a boy who enjoys outdoor adventures with friends and acquiring fun skills, Boy Scout Troop 477 is the place for him. 1. Climbing at Stone Summit on August 25, 6:00 to 10:00pm. Dinner provided and we’ll have the place to ourselves after 8:00pm. Cost is $25. 2. Braves game the evening of September 15. The Scouts of Troop 477 will lead the crowd in the pledge of allegiance from the field. General Admission Ticket is $10, plus food/drink. In addition, visitors are welcome every Tuesday from 7:30 to 8:45pm when the Troop meets at its Scout Hut (which is accessible from the Kingswood United Methodist Church parking area near the gym). Every Tuesday at 7:30pm, Troop 477 meets at Kingswood United Methodist Church Scout Hut located at 5015 Tilly Mill Road Dunwoody, Georgia 30338. Offering positive, safe learning environment, where experienced Scouts lead younger scouts in teamwork and operate an organization with 20+ positions. Camping opportunities with 25+ days of fun outdoor activities per year! Serving our community with over 1,000 hours of service in the last 3 years. Supportive adults apply over 250 years of combined Scouting experience. Learning life skills for future success, we emphasize the National Youth Leadership Training program. Our youth are prepared to operate Troop 477. Achieving the Eagle Scout rank, with 23 Scouts earning Eagle since 2015! Are you ready for your son to have the adventure of a lifetime? Please contact our Scoutmaster, Barry Deutsch at info@troop477.com to be contacted personally and receive more information. We all live extremely busy lives with the pressures of everyday life all around us, yet I see examples charity and love from people all around me who are willing to do more for those who have extreme struggles or are less fortunate. 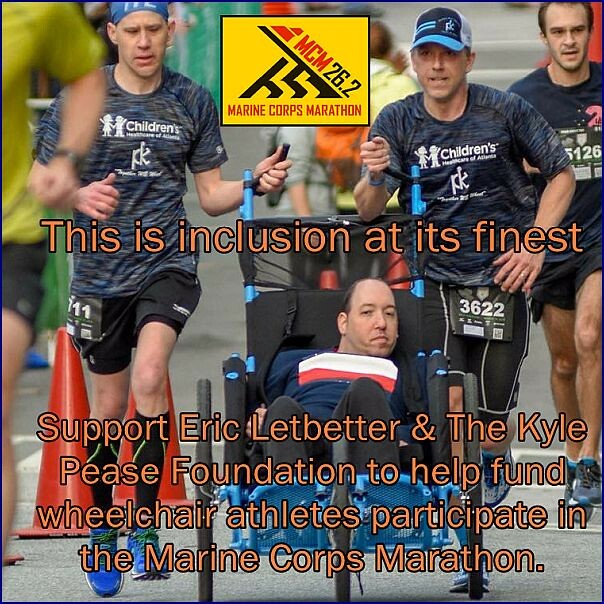 Eric Letbetter is one of those people willing to do more and this is his story therefore I thought it and the Atlanta based Kyle Pease Foundation stories needed to be told. Please support Eric if you are able. Thanks. Dunwoody Butterfly Festival is Today - a don't miss children's event! The Dunwoody Nature Center's annual Butterfly Festival is Saturday, August 11th from 10:00 a.m. until 4:00 p.m. This year’s festival will take place on the 22-acre campus of the Nature Center and will again feature three butterfly tents that will enable guests to have a longer, less crowded experience surrounded by hundreds of live butterflies in each tent. In addition to the three butterfly tents, guests will be entertained all day with games, crafts, animal encounters and discovery stations throughout the park. Guests can participate in a nature scavenger hunt and find hidden treasures within Dunwoody Park; get their faces painted like a butterfly; and enjoy live music, a birds of prey show, and other entertainment all day long. On-site concessions will ensure guests stay well-fed, and the festival’s signature “larval lemonade,” along with other ice cold treats, will keep everyone happy and cool during the day. Tickets the day of the festival are $10 for adults and $5 for children. Capacity for the butterfly tents is limited and once all of the entry times for the tents are allotted, admission will be for the festival grounds only. Off-site shuttle service will be regularly available throughout the day to bring guests to the park; and staggered, timed entry to the butterfly tent will keep lines moving. As always, this year’s festival will also feature a special sneak preview and early admission for members only beginning at 9:00 a.m. The City of Dunwoody and program partner Emory Saint Joseph's Hospital are providing community members with a chance to take active steps toward better health through the new Walk with a Doc program. 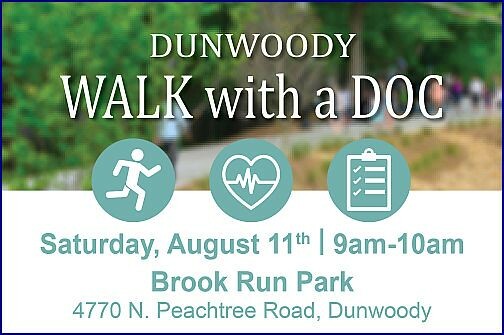 The FREE Walk with a Doc event takes place on the SECOND SATURDAY of each month at Brook Run Park (4770 N. Peachtree Rd, Dunwoody) on the front field, opposite the playground from 9:00 a.m. to 10:00 a.m. Pre-registration is not required. The program is focused on getting participants active in a Dunwoody park while conferring with a healthcare professional host who can provide support to walkers and answer questions during the walk. Healthy snacks, coffee and blood pressure checks are also a standard part of Dunwoody’s Walk with a Doc walking program. Dunwoody residents requested to make an investment that will impact generations - please help if you are able. I was at Dunwoody High School on Tuesday Night at 8 pm to pick up my 7th grader who had football practice with the Dunwoody Junior Wildcats and whom do I see working long after the Varsity team had gone home but Head Football Coach Mike Nash; there he was organizing a shed now being used by more sports teams than ever anticipated. We chatted for awhile about football but the conversation quickly turned to school system and the dire needs of the Dunwoody High School Sports facilities due to overcrowding. He explained that Dunwoody High is bursting from the seams with more and more students and though new trailers are being brought in and someday class rooms might be built, the sports fields and facilities are not expanding therefore all programs are suffering. My friend and neighbor Carol Gaultney submitted a letter to The Crier this week that is worth reading and I fully agree that the goal of having a lit multi-use field at Dunwoody High School is now a necessity for the students to maximize field use therefore the ask is for all Dunwoody area residents to assist in funding this amenity if you are able. Kristin & I made our donation and I hope you would join us. Thanks. 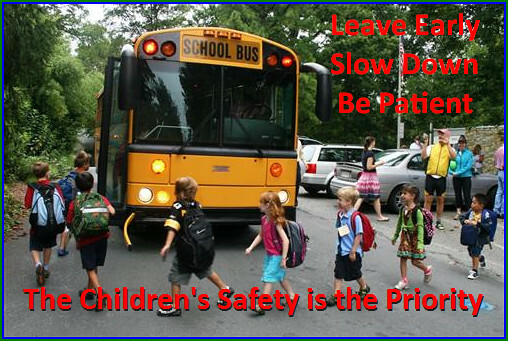 I write this on Back-to-School eve for DeKalb County students. 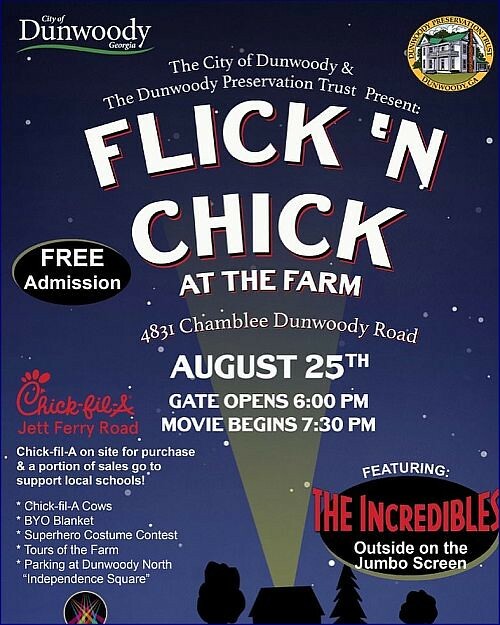 Dunwoody High School needs the help of our community. Last week I saw a Facebook post and was reminded again today in the PTSO email of the need to better DHS’ multi-use sports (track & field, football, girls & boys lacrosse, boys & girls soccer and marching band) field. If you haven’t seen the recent improvements behind the school, you should take a look. The track looks great and beautiful bleachers have been added. Through successful fundraising of hundreds of thousand dollars through DHS’ Game On campaign, these additions and more were paid for by Dunwoody families and very generous contributors. The improvements are exciting to say the least in a school system that doesn’t fund the improvement of sports fields. The ultimate plan for the multi-use field calls for the installation of neighborhood friendly LED lights. With the addition of the lights, extra practice time can accommodate: DHS sports practice space without requiring teams to find other practice sites off campus; some home JV football, soccer and lacrosse games can be held at the typical early evening time and not called for darkness or moved to the very large and expensive North DeKalb Stadium. Dunwoody High School will become one of the few –if not only- public high school in DeKalb that has their very own lighted field! An existing quote for the expense of lighting the field expires at the beginning of September. Currently funds have been raised for all but 25% of the lighting expense equaling $80,000. The timing is not great to ask for money, we all know that back-to-school means all sorts of surprise expenses for families, but I would like to call on the citizens of our great little city to help. If we all give a little, we can collectively raise a lot! The lighting project potentially benefits every child in the city of Dunwoody. At some point in their life whether they attend Dunwoody High School or not, they could find themselves at an activity on the field. It could be as a DHS fan or athlete playing one of the sports mentioned before, a sports camp, rec team practice, marching band event, or as a fan /member of an opposing team. With lighting, possibilities are open to approved community events when the field is not in use. According to Wikipedia there are 6000 family dwellings in Dunwoody. If even half of those families were to give a minimum of $30 to the lighting fund, the goal of $80,000 would be easily obtained. If you live in Dunwoody, you have a stake in the high school community; the more desirable our high school is the higher property values will climb! If you are a Dunwoody HS family, please eek $30 out of your budget over the next month and give to this need. If you have pre-school to middle age students that will attend DHS one day, please, invest in the future of the DHS by giving $30. If your child attends private school, if you are an empty nester, or don’t have children please don’t pass on this opportunity to boost your local high school and make it shine…the small investment of $30 could help grow your neighborhood property values. 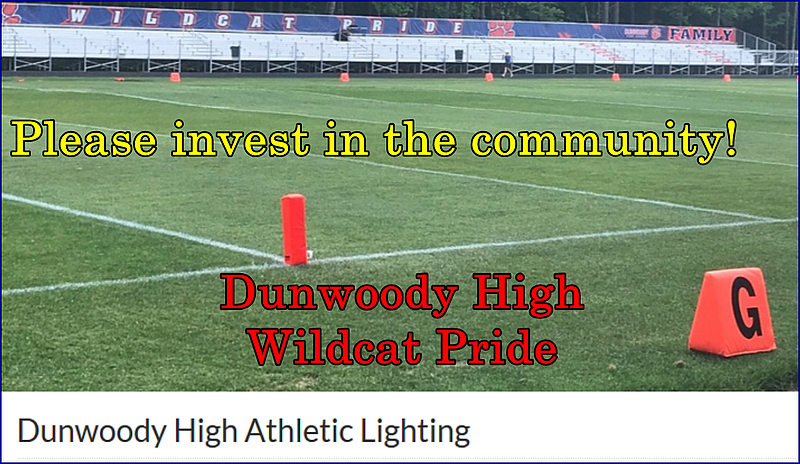 You can donate by visiting www.GoFundMe.com and search for ‘Dunwoody High Athletic Lighting’. Funds need to be raised by September 5, less than a month. What do you envision for the Dunwoody Village area? Please take the Dunwoody Village Overlay Survey to have your voice heard. 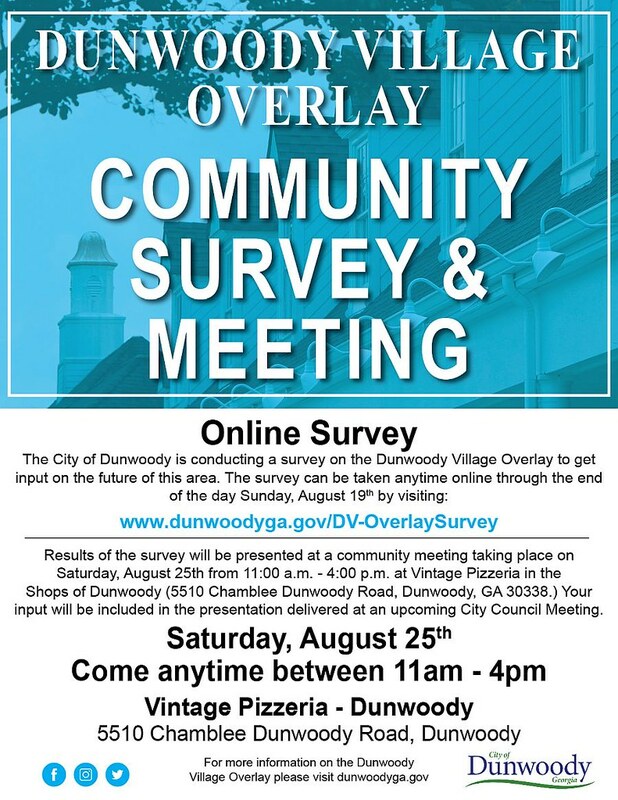 The City of Dunwoody is conducting a survey on the Dunwoody Village Overlay to get input on the future of this area. The survey can be taken anytime online through the end of the day Sunday, August 19th. 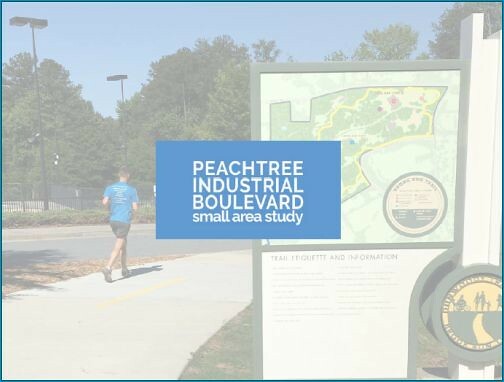 Results of the survey will be presented at a community meeting taking place on Saturday, August 25th where participants may come and go any time between 11:00 a.m. - 4:00 p.m. at Vintage Pizzeria in the Shops of Dunwoody (5510 Chamblee Dunwoody Road, Dunwoody, GA 30338.) This input will be included in the presentation delivered at an upcoming City Council meeting. 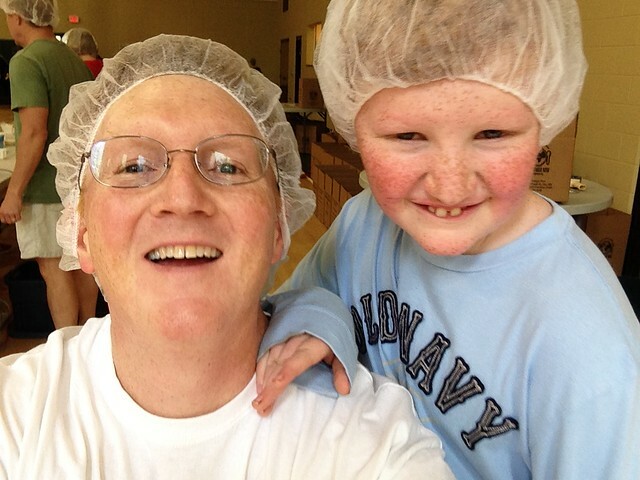 Foodstock 2018 - Dunwoody please register the family to wear a silly hair net and help feed thousands of people! Register your family time slot. I have participated in numerous Stop Hunger Now events in various Dunwoody churches and it is always a rewarding family event that fosters teamwork and shares the joy of working together for a great cause with your fellow participants (including your children). 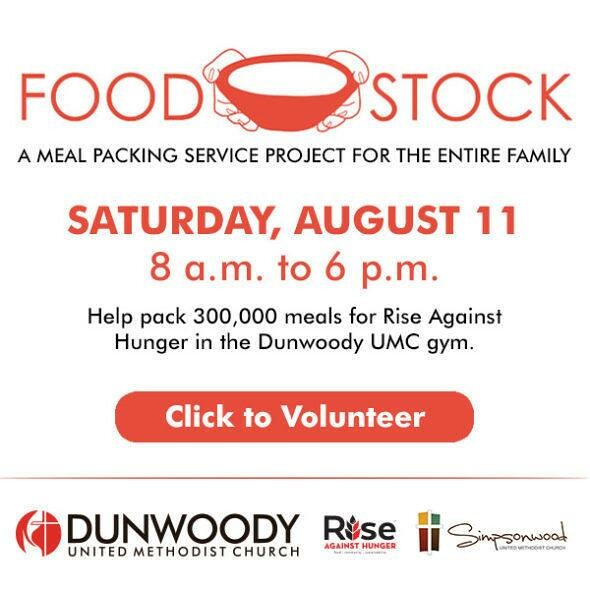 Dunwoody United Methodist Church will be hosting a huge community event on Saturday whereby 300,000 meals will be assembled over a 10 hour period and they need more community volunteers to sign up. Please note: The Dunwoody Butterfly Festival is also taking place on Saturday from 10 am till 4 pm so please find time for both events if you can. 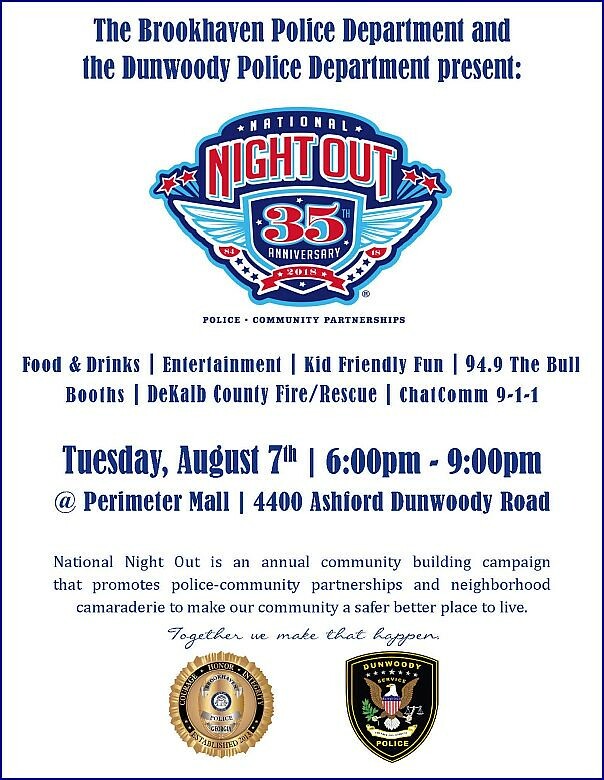 Brookhaven & Dunwoody Police host National Night Out - Kid Friendly event at Perimeter Mall - Tuesday Aug 7th 6 to 9 p.m.
On Tuesday, August 7, 2018, the Brookhaven Police Department and the Dunwoody Police Department will host the 35th Annual National Night Out (NNO) event. 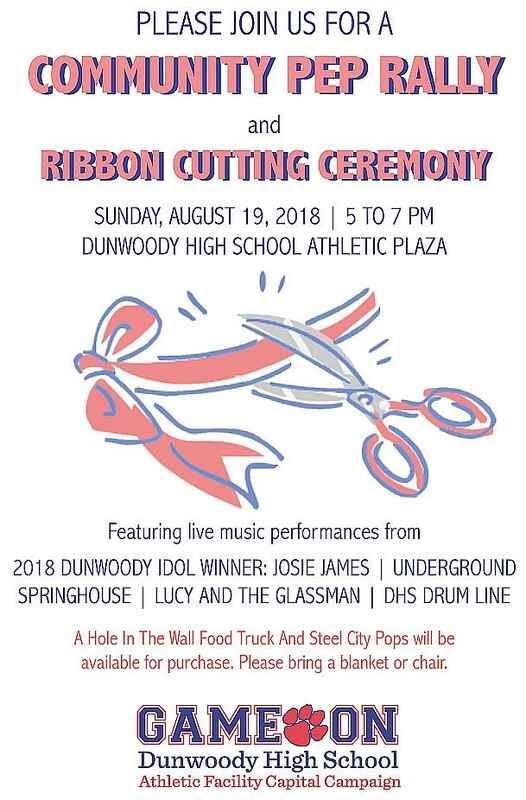 This community event will be held from 6:00 p.m. to 9:00 p.m. at Perimeter Mall, located at 4400 Ashford Dunwoody Road in Dunwoody. Sponsored by the National Association of Town Watch, National Night Out is an annual community-building campaign that promotes police-community partnerships and neighborhood camaraderie to make our neighborhoods safer, better places to live. This year, the two hosting Police Departments will have patrol cars, SWAT vehicles and other specialty vehicles on display. The DeKalb County Fire/Rescue Department will also have fire trucks and other pieces of equipment on display. Police Officers, Fire/Rescue personnel and ChatComm 9-1-1 personnel will be on hand to answer any questions related to vehicles, personnel or public safety operations. In addition to public safety organizations, many local businesses and community groups will have display booths set up. Music and entertainment will be provided, along with free food and drinks donated by many local stores and members of the community.